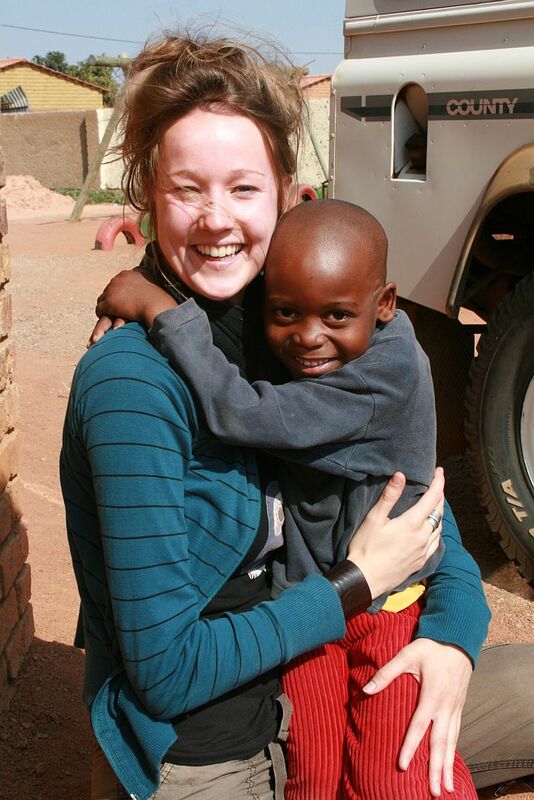 These are the first three pictures I took in Soshanguve, the township outside Pretoria, South Africa where we did our volunteer work in July. 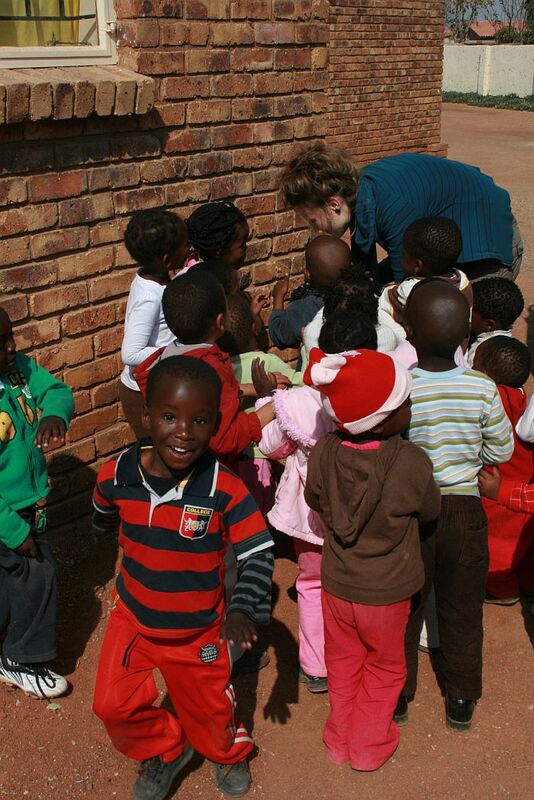 We had literally just stepped out of the car for the first time at the orphanage and childcare center called Ithemba La Bantwana, whose name means “Hope for the Children.” A flock of children ran over shouting “makuwa!” which means “white man” and swarmed us with hugs, smiles, and laughter. No words exchanged, but the communication of happiness and affection well underway. The center was a rough concrete building in a bare dust yard next to a red brick church. It had bars on the windows and holes in the walls, five spartan rooms plus a basics kitchen, and was absolutely filled with exuberance and warmth of human spirit, from both the kids and the amazing people who work there. 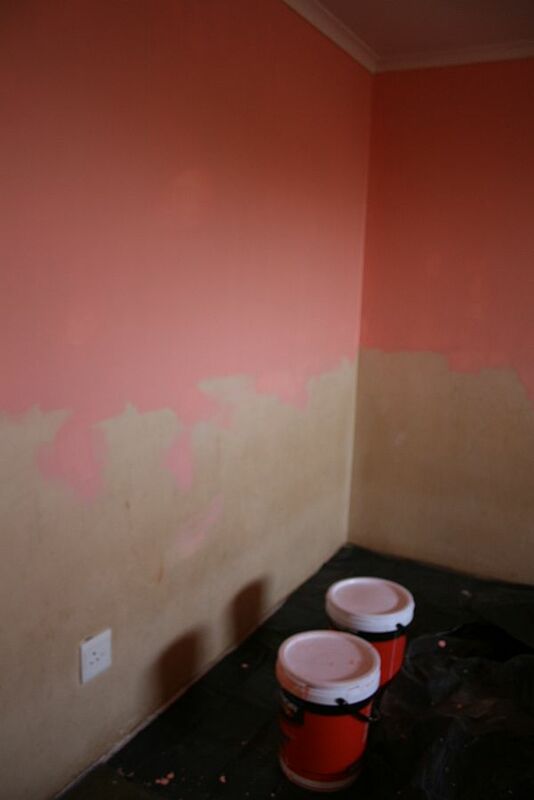 Our main project was painting the rooms. 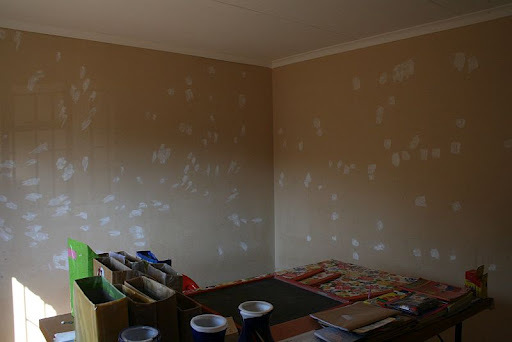 Here is the “before” picture, putty patches on the holes. The top layer was going to be “Shrimp Toast,” a pink color that seemed iffy at first. The kids would sometimes watch us paint, and when we asked if they liked it, they would solemnly shake their heads no. *gulp* right? I admit to nightmarish thoughts of hearing that everyone hated it and they had to pay someone else to come in and redo it. But once we started putting the bottom color, “chili,” on, it came together. Katrien thought so too. And luckily so did the kids. As I puttered around on the last day semi-successfully cleaning up materials and paint spills, Katrien drew vines and stenciled flowers and butterflies in the four class/bedrooms. 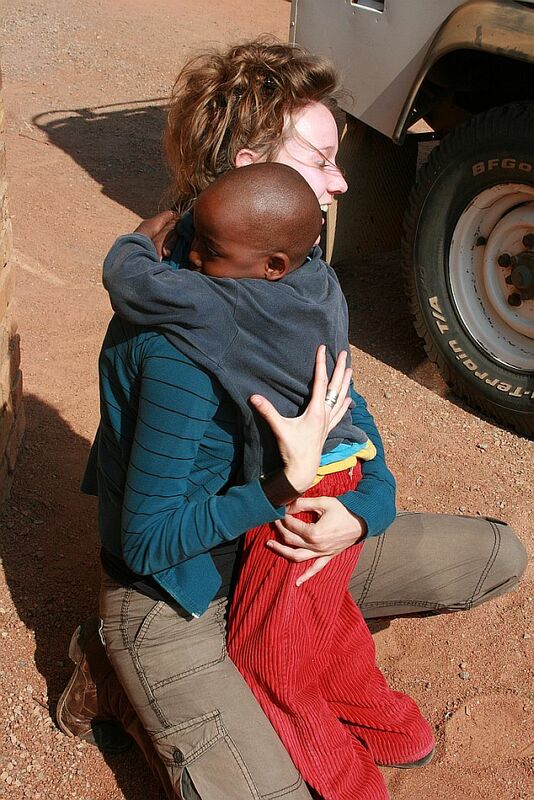 The mattresses were set up again after we left as the center transitioned back into a functioning orphanage. 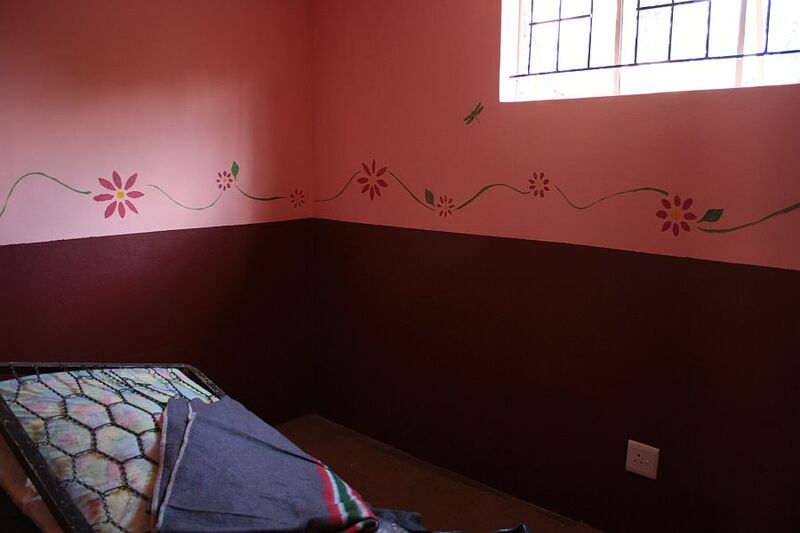 The final product was a big improvement on the beginning, and best of all, I think we (which includes everyone who donated) got to show the children that we cared about them, and the place they spend their time.